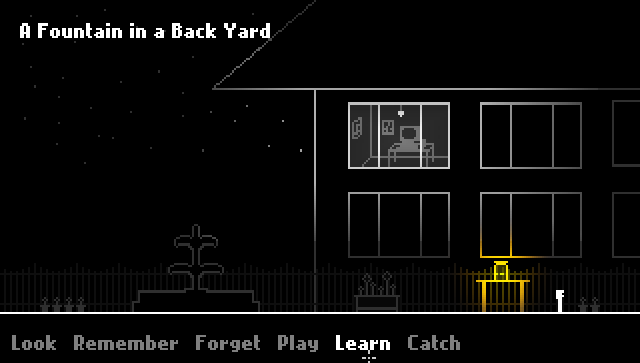 Tomorrow (December 8) I’ll be showing GET LAMP at an adventure game-themed night in NYC. Babycastles is a do-it-yourself themed arcade that normally lives out in Brooklyn but has a location on 42nd street for the holidays, partnered with the Showpaper Gallery. There’s a Facebook event for it. If New York City isn’t something you can just swing by tomorrow, then you can at least check out an appearance I made on the BBC Radio show “Outriders” today. Here’s the weblog link on their site. I’m the last segment, discussing GET LAMP and some of the facets of text adventures. People mail me with everything and anything interactive fiction these days. I had a bunch of “I should mention this” links in my back pocket, and I think I might as well put them all here. 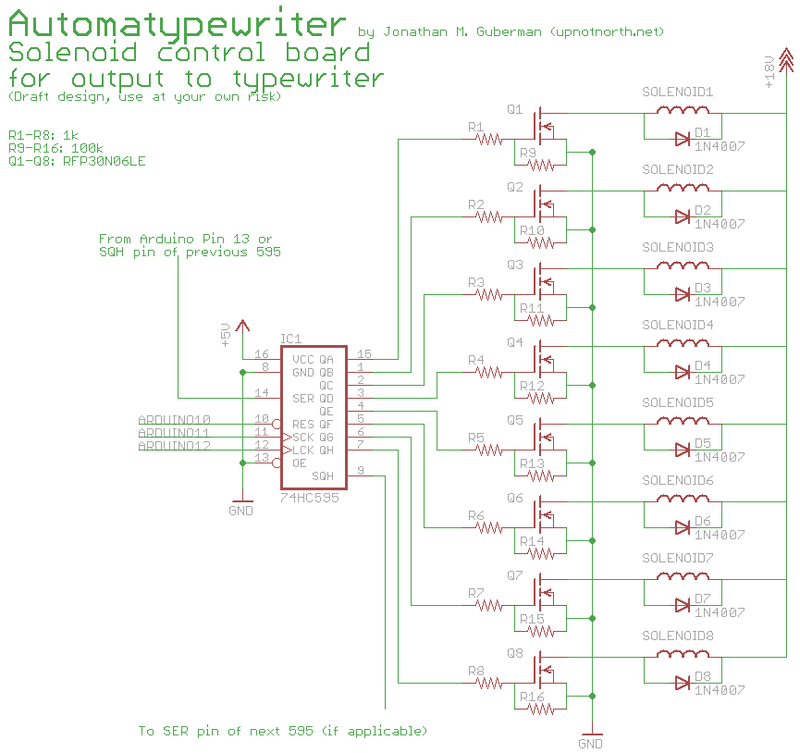 Actually, an Arduino-controlled typewriter, that can do most anything, but can play interactive fiction for our entertainment. A buddy I’ve known for a few years, Jim Munroe, was partially behind this. He counts as one of the missed documentary interviews, but it’s a pleasure to link to this. A paper adventure, the author of which credits GET LAMP for inspiration. It’s in the style of the Parsely adventures, of which there’s a nice amount to browse through here. Buddy Jake Elliott worked hard on a game. ‘A House in California’ is a surreal, narrative game about four characters who bring a house to life. These four characters are based on relatives of mine (two grandmothers and two great-grandmothers). The game is inspired aesthetically by Mystery House, developed in 1980 by Roberta & Ken Williams. But whereas Mystery House is a mystery story about greed and murder, A House in California is more like an Imagist poem about family and memory. A House in California is currently being featured in the Learn to Playexhibition at Euphrat Museum of Art, was also exhibited at the Meaningful Playconference at Michigan State University in October 2010 and is an entry in the 2011 IGF. In GET LAMP, there is a sequence about a newer commercial era for Interactive Fiction. Among those are Andrew “Zarf” Plotkin, game creator of master class, who says that if he had a chance for a working company to hire him to make a game, he would be there and write games forever. Well, he’s going to try. Plotkin has announced a Kickstarter campaign where he will create a game called Hadean Lands, full-time. Designed for the iPhone with other platforms available during the fundraising, he will quit his job, write the game, work on the development environment, and release a bunch of code so others can follow in his footsteps. He opened it for a little more than 30 days of potential funding, with a goal of $8000 to supplement his savings. He made $8000 in thirteen hours. He’s now past $20,000 and growing. If you want to show support for someone doing interactive fiction, this is a great way to do it; Plotkin is the real deal and as his page explains, he has a very long pedigree both as an excellent author, and as a coder who has advanced the state of the programs that drive interactive fiction’s development. I contributed almost immediately; I suggest others do as well. So, Activision did a strange thing, recently – they re-released Zork. Specifically, they released the entire game of Zork I as an easter egg inside their new title Call of Duty: Black Ops. This video from G4TV about the easter egg (as well references to other easter eggs available in the same location) is very informative. What unintentionally happens here by this easter egg being included is an in-your-face argument of the uphill battle text-based games face in the modern gaming world, at least in terms of bringing in new players from the pool of first-person games. You are strapped in a chair in a small room where monitors and machines blaze and swap around, providing tons of stimulation, and once you break free of the straps in this, the menu, you can walk entirely around the room, interacting with objects, seeing fully-rendered angles of all the material that previously looked like drawings, and then choose to log into a terminal which gives you a variety of choices. Going from that and finding yourself sitting at your game which itself is sitting at a terminal, which is then playing a game of Zork, the contrast is just blistering. It’s like being in the middle of a football game and picking up a book. To me, it seems a head-on approach towards the people who find the first type of game fun is not the way to do it. On the other hand, the mere existence of Zork in the game starts a conversation like this one. “What do you mean ‘Zork’, people in forums will say. They’ll look around, find it, and maybe of the thousands who happened to see what everyone is gabbing about, a few will find they actually like this book in the middle of the field. And read it. A very interesting development. Activision had a good part in killing off Infocom and what was good about it, but this latter-day maneuver is worth watching. The final leg of JET LAMP is next week. I’ve got three showings in 4 days. Now, I’m not saying that there will be no more showings of GET LAMP in places, with me attending. That will happen. But they will be few and far between and at some point it’s just not really a tour anymore, it’s just a screening. So I’m calling the JET LAMP project a closed success after next week. So, why am I showing GET LAMP at a Fencing Club? Well, the founder/owner of the club is an ol’ college buddy, and he asked. Simple as that! All are welcome and maybe you might get inspired to enroll your kids in an awesome and healthy exercise. Or enroll yourself! Check that spread out! I’ll be attending some various events related to MITH (Maryland Institute for the Humanities), giving talks, having meetings, hanging out – but the big show is this one, in this big and beautiful hall. If you’re anywhere in the area, this is the one to show up to. It’s going to be a pretty amazing thing. Finally, Bruce Potter of Shmoo Group has brought me into Ponte to give a showing. Here is their webpage about it. Free Pizza and Popcorn and Drinks! Reviews are coming out for GET LAMP. I love reviews! Right now there’s one review on IMDB. I’d love it if people added more, positive or negative. Sorry for the lateness in announcing this; it’s been a rather busy day packaging GET LAMPs. You people order a lot of GET LAMPS! The Boston/Cambridge Interactive Fiction group is called The People’s Republic of Interactive Fiction, and they’ve been having regular meetings for over a year now. I’ve attended a few, and they’re always great. But if you live in the New England area, and loved Infocom games, this is a pretty special event they’ve got going. Tomorrow, Halloween, they will be playing The Lurking Horror, the Infocom horror game meant to exact a feeling of Lovecraftian suspense and mood. It’ll be streamed over Ustream.tv, so you can watch them play along. After this, comes a tour of some of the locations at MIT that inspired the game… led by Dave Lebling, creator of The Lurking Horror. Go to their site to check out the details. 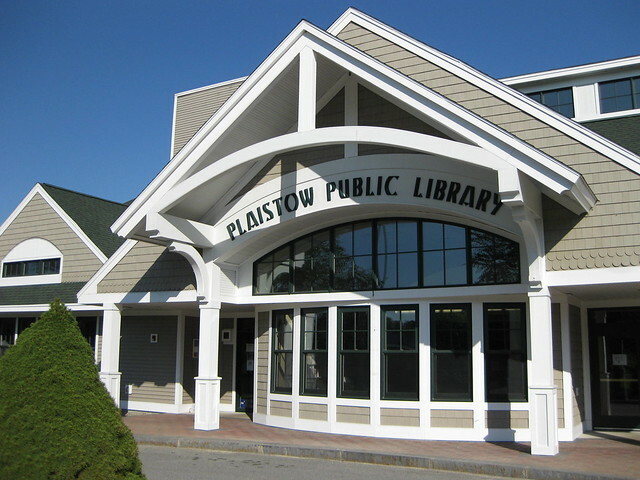 I’m appearing at the Plaistow Library on the 27th of October (tomorrow as of this writing), and having a fun showing for folks in both the southern NH and Boston area. Old friends, new ones, and of course a documentary I’m pretty proud of. The show begins at 7pm in the Mary Nelson Room. While I’m here, did you know there’s a cool directory for libraries? Here’s the entry for the Plaistow. During the JET LAMP showing over at the Mastics-Moriches-Shirley Community Library, I got to meet someone who’s work had been floating around the production for a while. Her name is Mari Michaelis, and she drew a map. Well, not just a map – a really cool map. It’s one of the original Adventure, and she worked on it just last year, and it’s really nice. Adventure has, as you might imagine, tons of maps out there from the decades of players trying to make sense of the layout of the cave and surrounding area – some are basic pencil drawings, while others are refined, design-rich presentations. This is one of the second ones. I considered for no small time to put it in GET LAMP, but opted for some others instead. But I always liked Mari’s take. And meeting her, I got to tell her too. I’m just including small images of the maps, so nothing gets spoiled for you. If you want to check them in full, just head over to Mari Michaelis’ site. Oh, and the folks at the Mastics-Moriches-Shirley Community Library are great. What a wonderful library – it’s a lucky group who have that place at their disposal.